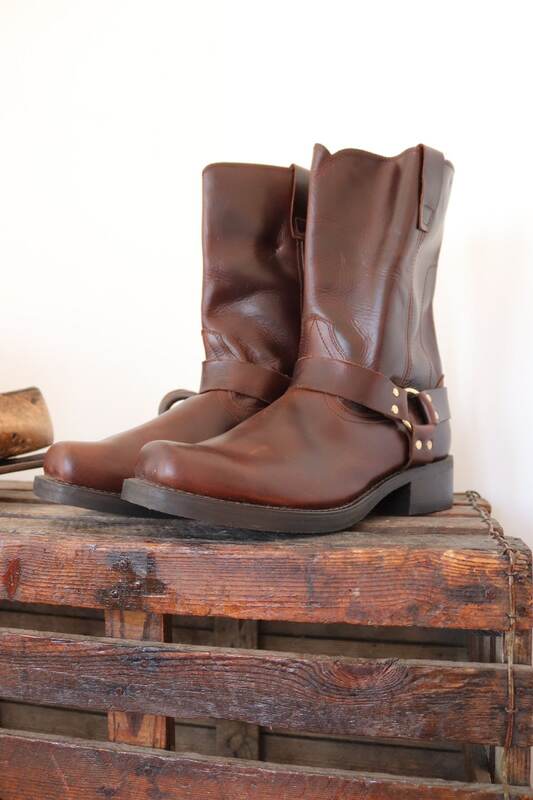 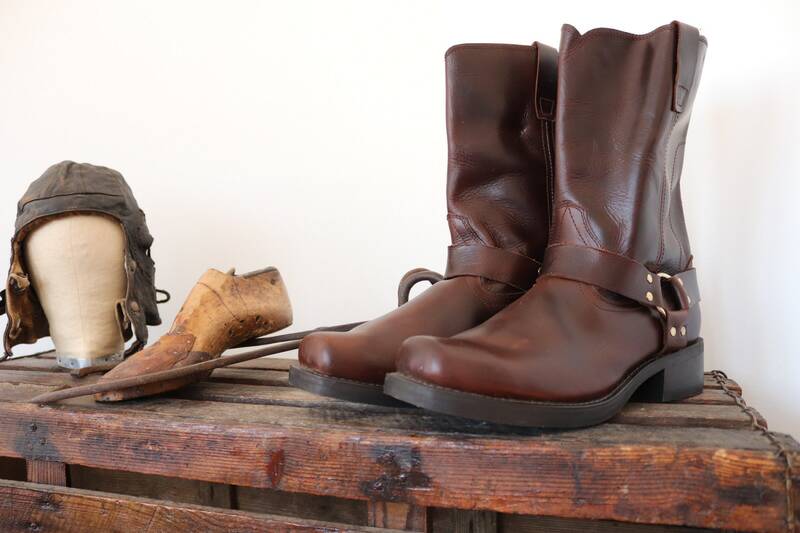 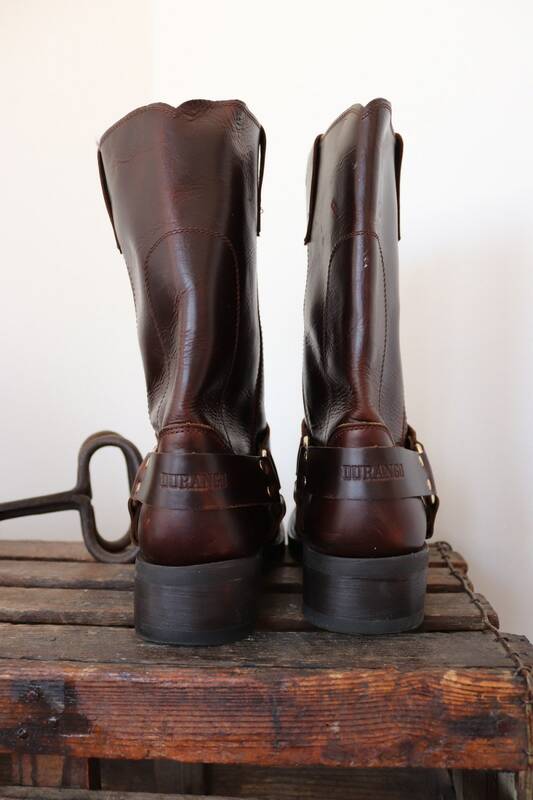 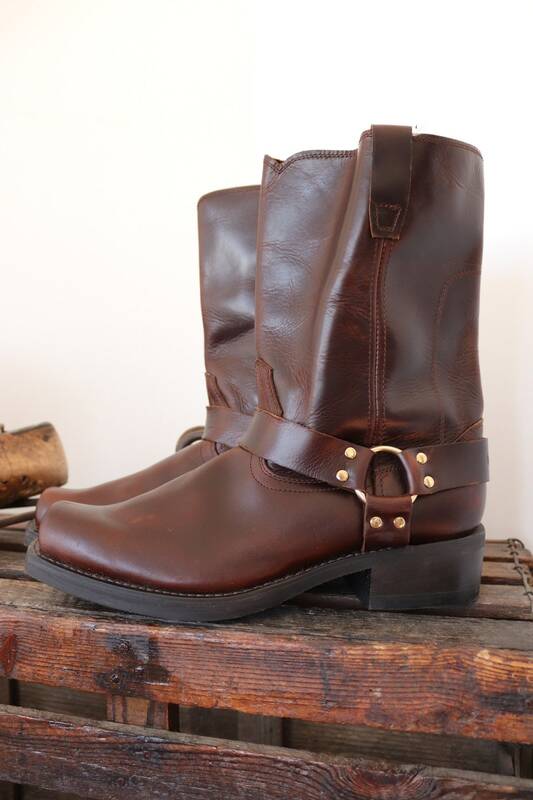 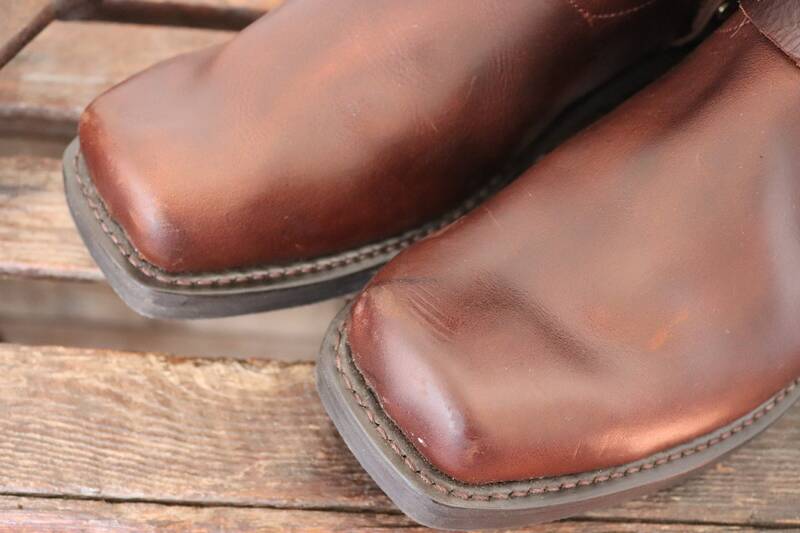 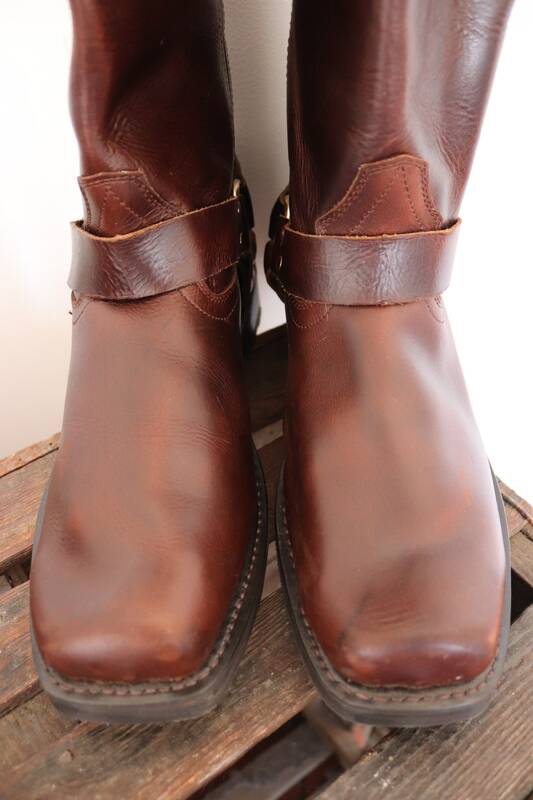 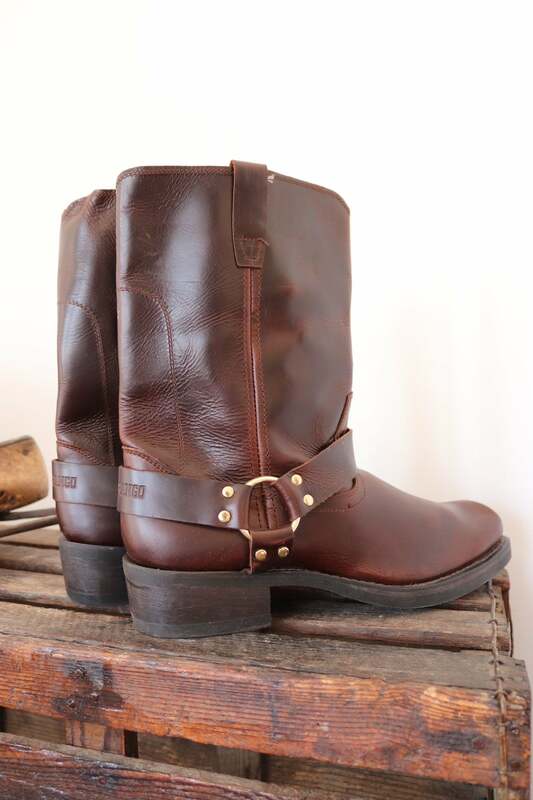 A pair of rich brown leather harness boots by Durango. 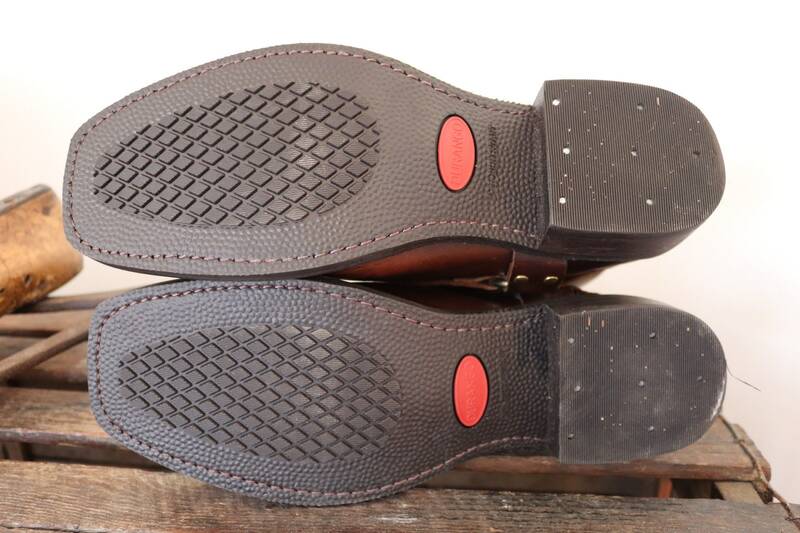 Noted flaws - a few minor scuffs to the uppers, but in virtually unworn condition otherwise. 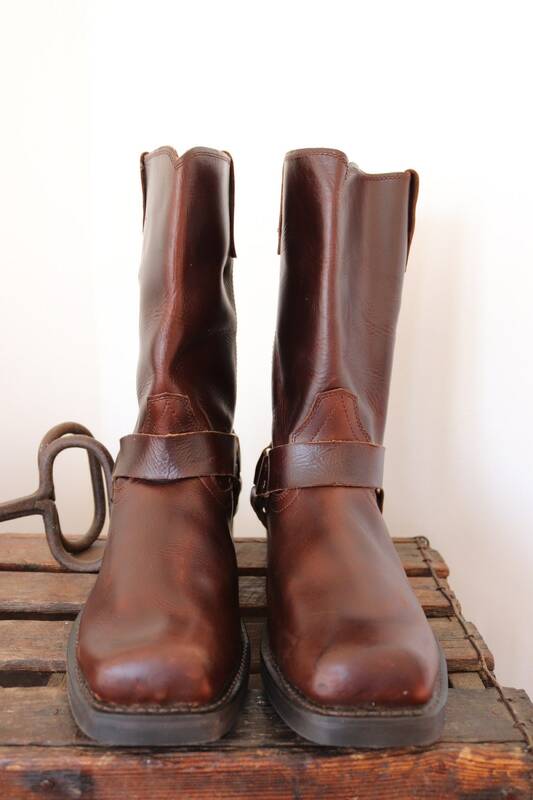 Pull on tabs, brass coloured rings, square toes, great quality. 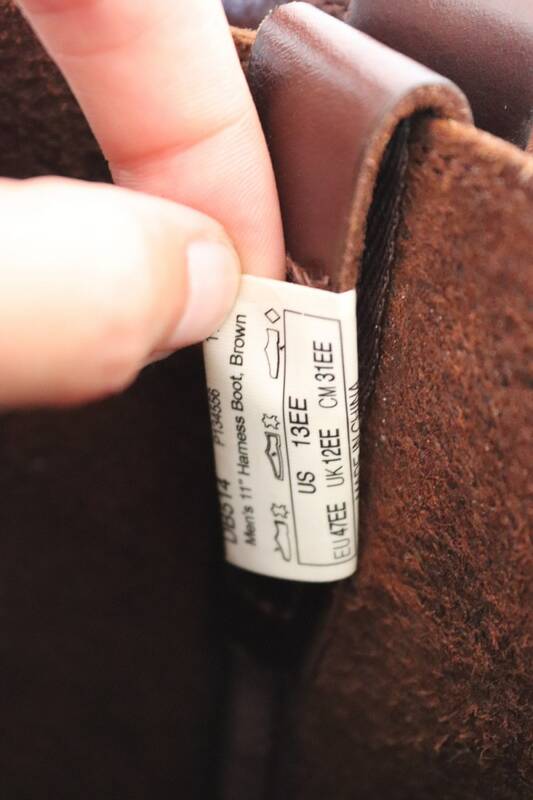 Marked as a US size 13/UK size 12 but please compare the measurements provided with a pair of your own boots or shoes that fit you well to ensure a good fit.